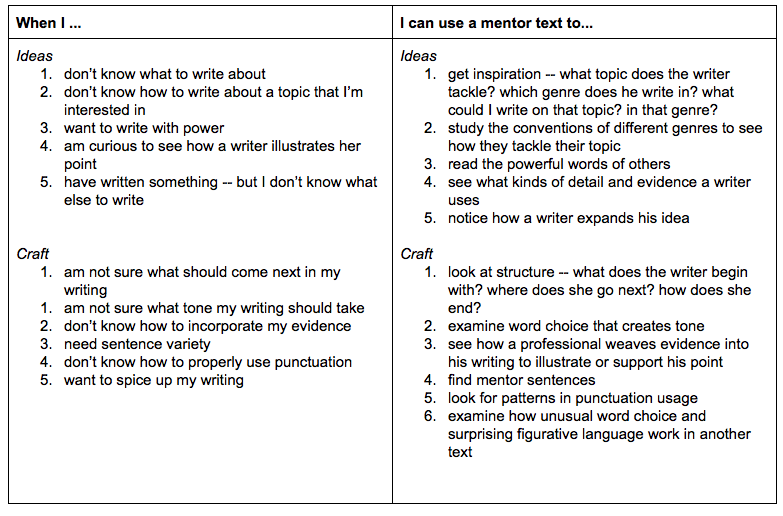 Last week Rebekah blogged about teaching students how to find and use mentor textsto increase their independence and cure their writing blues. She posted a fantastic chart that uses a problem-solution or if-then approach to guiding students to and through mentor texts. As her chart indicates, sometimes a mentor text is just a sentence. How many times have you watched students struggle to put their idea into a sentence? To get the first words down? Sometimes individual sentences seem to pose a greater challenge to students than the essay itself. We can help students get started by directing them to mentor sentences and showing them how to fit their own ideas into a sentence’s framework. This is known as thepastiche technique. Every year about this time I get the urge to buy a copybook. And some of those little rectangular pink erasers that look good enough to eat. And a whole lot of those round reinforcements, which were supposed to be pasted around the holes in your loose-leaf paper but were more often made into designs on the inside cover of your loose leaf binder. I knew it would make for an excellent mentor sentence because 1) it offers a framework (Every year about this time I…And…And…) and 2) it packs in detail. When studying sentences, the first thing I do is project the found text onto the board. I read it aloud twice and ask students to jot down anything they notice in their notebooks. Then you write in front of them, modeling the process of using and adding to the framework. Here are two examples that I wrote with different classes. You can see the edits I made in later periods (in red). Finally it’s time to let them go. I give students 5-7 minutes to craft their own sentences. If students need more scaffolding, have them choose one moment and brainstorm, alone or in groups, different details that describe that moment. Then they can play around with placement and rhythm within the template. Students who finish early can revise to make their sentences a little bit better. Later, invite students to share their sentences in writing groups or pairs. Ask a few volunteers to share out. Here’s a sentence written by my ninth grade student, Benton. I can still hear the collective gasp of awe and admiration that filled the room when he finished reading his gorgeous sentence. Peterson, Art. 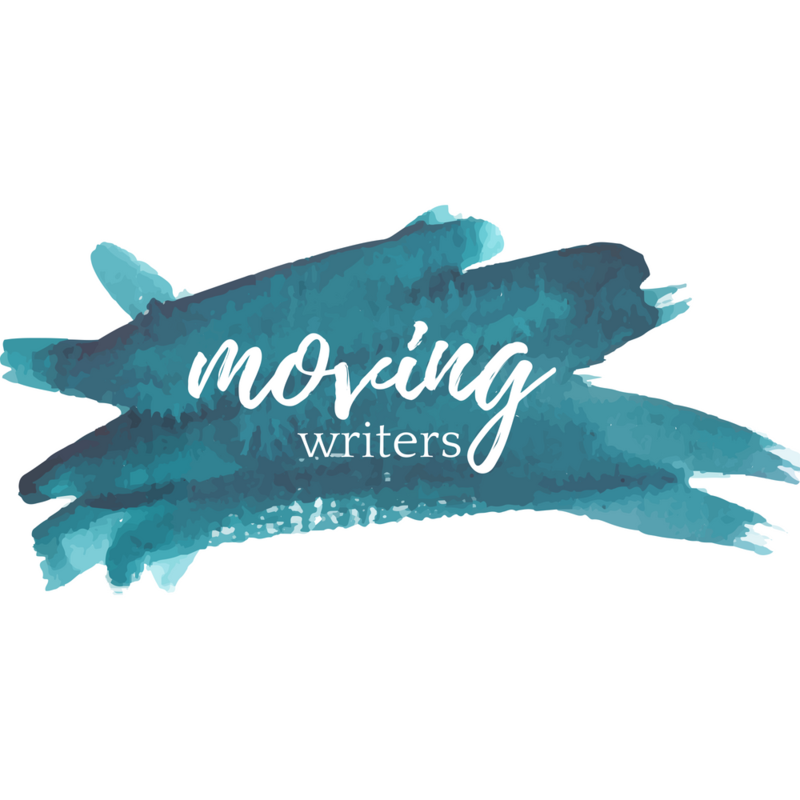 The Writer’s Workout Book: 113 Stretches Toward Better Prose. Portsmouth: Heinemann. 1997. Quindlen, Anna. “Life in the 30’s.” The New York Times. The New York Times Co., 9 Sept. 1987. Web. 10 March 2014. What sentences have you stumbled on that will make excellent mentor texts? Please contribute to our dropbox project and add your sentences! about what is great for their wallet but precisely what is ideal for their family. always easier to learn swimming beforehand. But there is a means to prolong the and longevity of the chlorine.